Are you guys missing my daily posts? Oh I'm sure you all are, cause you're just hanging by your phones or computers just waiting for me to post something new, right? 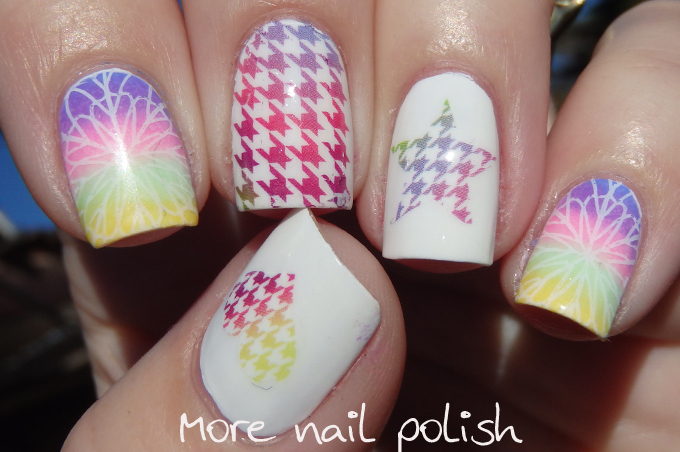 Here is a mani I wore from before I went away. Just a little something to tie you over for a few more days. 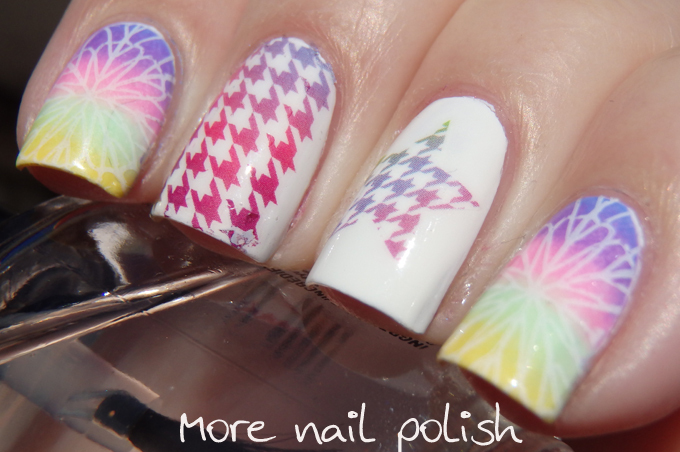 It's a bit of a mix and match with a gradient, stamping and coloured water decals. 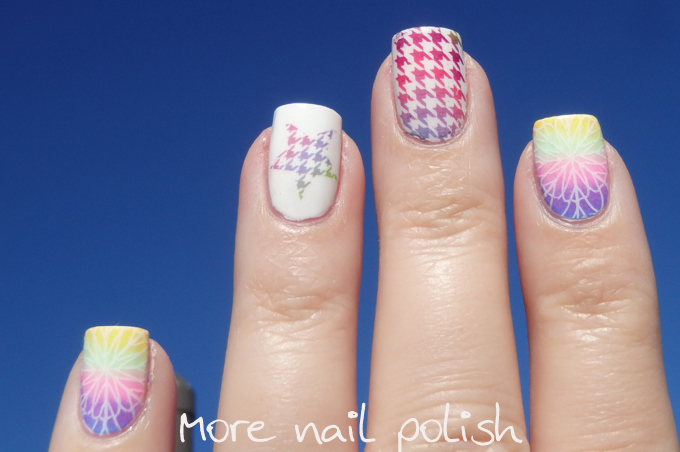 I think the polishes I used for the gradient were Picture Polish swagger, wisteria and candy and Ulta3 Corsican rose and Honolulu. I stamped in white with Mundo de Unas white and a new Emily de Molly plate (but I can't remember which number sorry). 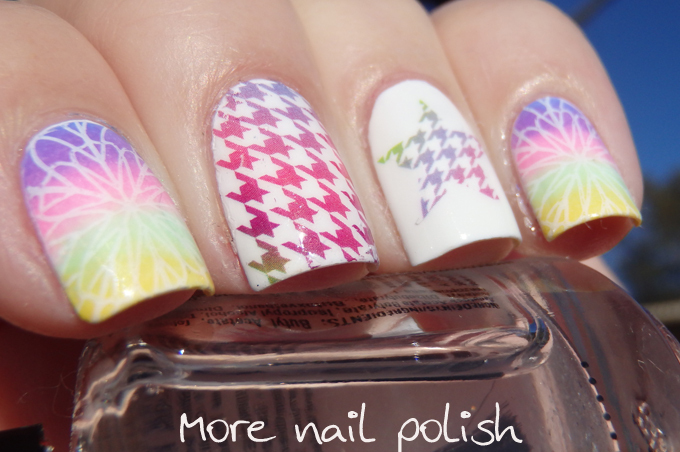 The hounds tooth gradient pattern and star are actually water decals from the Born Pretty Store that I purchased. 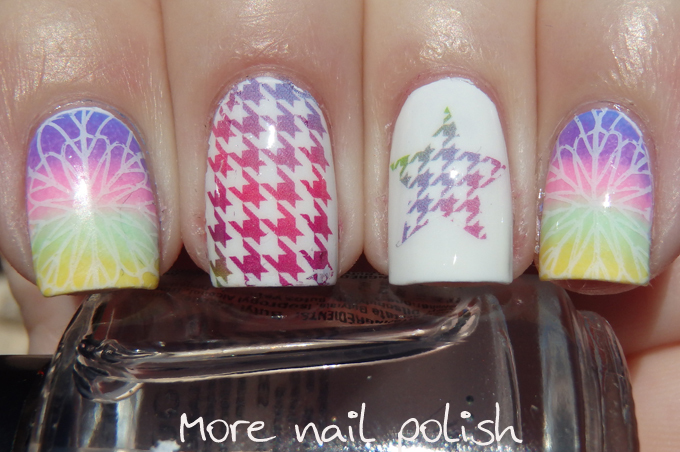 They are item #14783 and I still have plenty more in the packet to do more manis. Have fun and I'll be back when I can. Very cute and coloured! Love it!! !